I recently attended a performance of Haydn’s Creation in Penticton by the Okanagan Symphony Orchestra and Chorus. The performance, conducted by Rosemary Thomson was quite wonderful, and reminded me that I may not live in one of the great metropolitan centres of Canada, but good live music performance can occur even in my cherished region of orchards and vineyards. Founded as an amateur orchestra in 1959, progressing ever since to semi-professional status, the Okanagan Symphony Orchestra regularly performs in Kelowna, Vernon and Penticton. 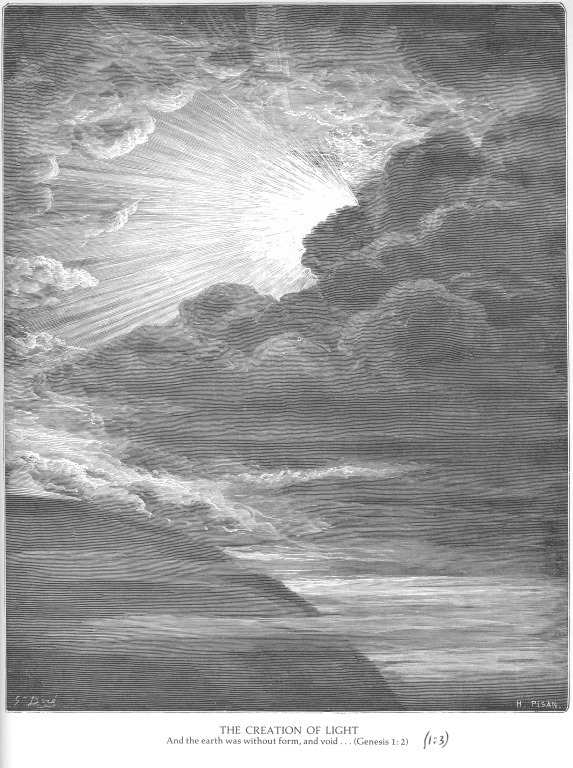 The performance of Haydn’s Creation (Die Schöpfung) was sung in German and surtitles allowed the audience to follow the text, drawn from Genesis and John Milton’s Paradise Lost. While the oratorio was originally published with both an English and a German text, English speaking audiences have had lots of criticism of the English text, apparently crudely translated back from the German. The composition dates from the 1796-98. Before attending the performance on Friday, 10 April, I decided to give the oratorio a listen, as I had not played it in several years. I found I had no less than three performances of it. One is sung in English, with Christopher Hogwood conducting The Academy of Ancient Music orchestra and chorus, and the recording on L’Oiseau-Lyre dates from 1990. (This performance is available on YouTube) and on a DVD. It has also been re-issued on a Decca CD. 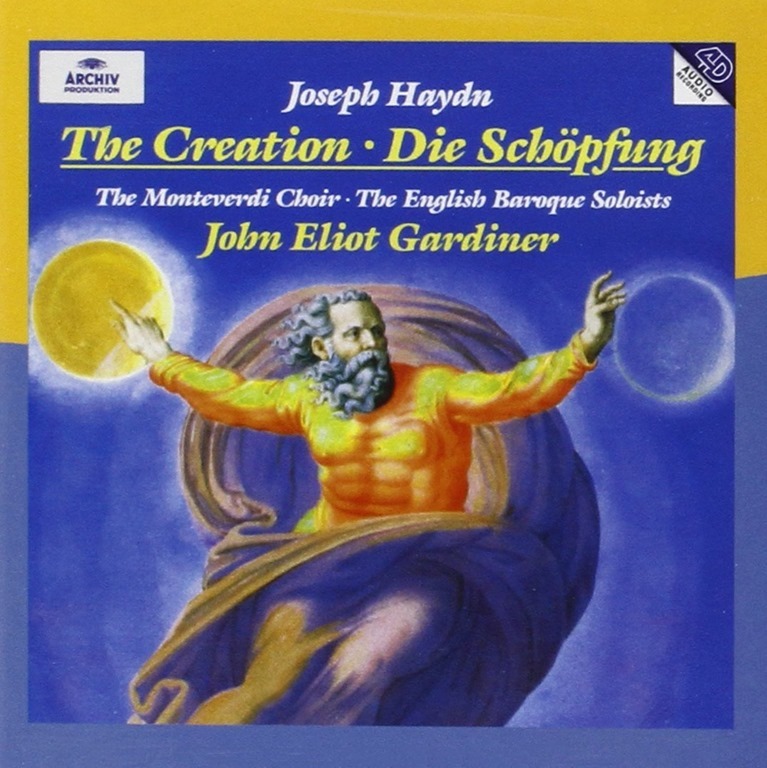 The other performances I have are both sung in German: a live performance by La Petite Bande and the Collegium Vocale conducted by Sigiswald Kuijken (Accent label- 1982) and one by The English Baroque Soloists and the Monteverdi Choir conducted by John Eliot Gardiner (on DDG-Archiv, 1996). The latter, in my opinion, is the very best. I had completely forgotten how accessible this music is! Really Haydn at his best in so many ways! The musical evocations, or sound pictures, supporting the words are wonderful, sometimes even humourous. Best to follow the text and its translation to get the most out of this extraordinary music. There are parts for soloists, and there are some wonderful choruses too, but it is worth paying special attention to Haydn’s orchestration, especially when performed on instruments authentic to the period. © Roger H. Boulet, 2015.